No matter what size your company is, you have to constantly be aware of your bottom line. However, one of the most difficult parts of running a business is the expansion phase, or figuring out how to grow in the most efficient and risk-free manner. Obviously, as your business develops and grows, you will need more space, but for most small and medium-sized business, the cost to expand can be taxing on the company’s financial margin. And investing in the construction and additions to your facility can cause you to take on risk in the form of overhead, price, and potentially debt. When you expand the space of your company, the move will affect the productivity of your workforce. Whether you opt for moving to an entirely new space or expanding the property you have with a remodel, your employees, schedule, and production will see negative effects. If you opt for a remodel or expansion of your current space, you will have to juggle construction noise, dust, personnel, and traffic until the completion of the work. Moving to a new space requires packing, transporting, unpacking and resetting up shop. However, in the case of a modular office, the office can be delivered to your site pre-built with the only thing left is the installation which can be done in no time. Since we take care of the construction part of the process in our own factory, your facility will see minimal disruption. Therefore, you will be able to keep your work processes uninterrupted, unlike stick-built structures which can cause your facility to have to shut down completely. What do you do when you need to expand quickly? Traditional construction is certainly not a good solution because it can take several weeks or months to properly complete a remodel and even longer to complete a new build. You are stuck wading through clutter and disorganization until the expansion is complete. 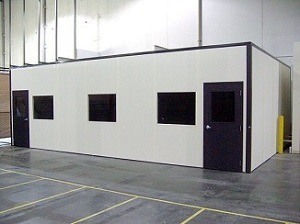 One of the benefits of modular buildings is that you can have a new solution ready quickly. Spending too much time waiting for an expansion will negatively affect your business. If you do not have room to produce and work properly, you could miss additional customers or clients. The quality of work can suffer and staff members will get frustrated. Many times, all you need is a simple space to store additional supplies, run meetings, add more workspaces or for your employees to take a break. Pre-built office building offers designs as simple or as complicated as you want or need them to be. You can save money by opting for simple, yet functional and high-quality options for your additional space. Most of our customers operate in industrial space, which often requires units that are easy to clean and easier to keep clean. Pre-built options are made to withstand industrial environments; you can rest easy knowing you are saving money on your new design as well as money on future maintenance. 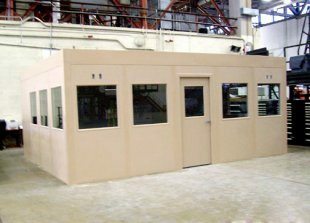 One of the most obvious ways you will save money with our economical portable offices is the actual construction process. Traditional buildings require construction workers, supplies, permits (which you may also need before you add your new office space), and various other costs; labor costs can be the most expensive portion of your new structure. 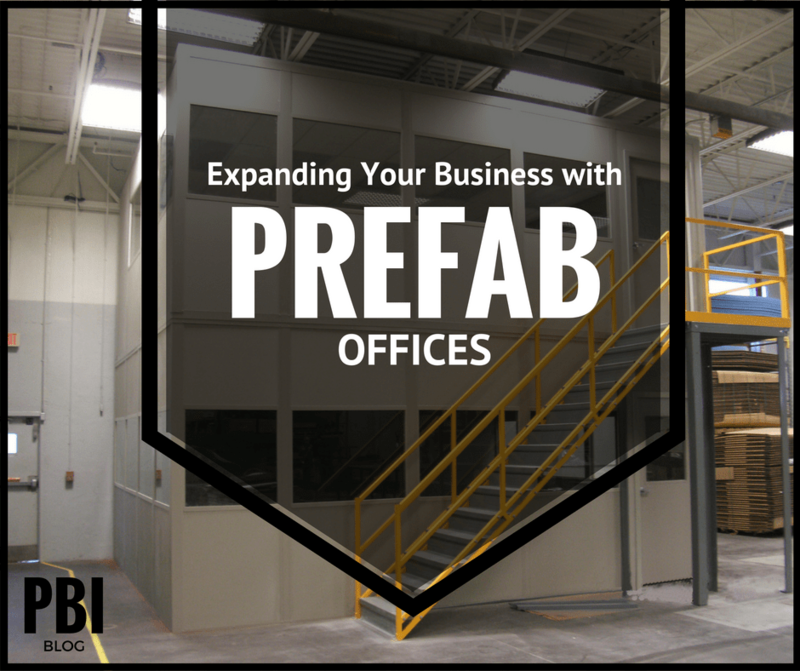 When you purchase a prefab, portable office, labor costs will not sink your project! The construction process for portable buildings makes them easier to build for less money and in a short amount of time. Because many of the parts needed to create your new portable office are mass-produced, we are able to make many pieces at once. This saves us money on production costs and allows us to pass those savings on to you. However, our unique binder post system still allows us to customize the portable office just for your company and your specific needs. Purchasing portable office space is a great way to create additional usable space to your already functioning industrial space. With simple manufacturing, easy installation, and a reliable company guaranteed to provide quality work, your company could benefit in many ways, if you opt to go the modular building route. Running a business takes time, money and energy. We know how important it is to have the time and energy to focus on the most important aspects of your job: production and customer satisfaction. Choosing a modular unit will allow you to focus on your everyday responsibilities while we work on expanding your workspace. Contact a sales rep to learn more about finding the perfect modular office for you! I would like to introduce you to Panel Built, Inc., a trusted manufacturer of modular structures, including inplant offices, steel mezzanines, and prefabricated exterior buildings. When looking for a quick and turnkey solution for your space needs, Panel Built will provide you with innovative solutions along with the expertise and diligence to have the project completed smoothly. 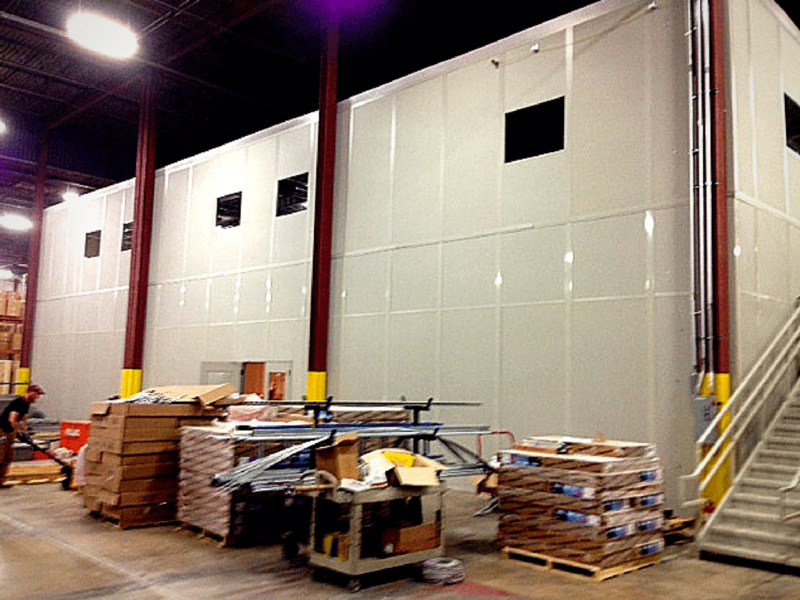 We provide quick, free modular office, mezzanine, and exterior building quotes within 24-48 hours. With thousands of modular construction projects completed across the United States and internationally, Panel Built, Inc. has the experience and reputation to ensure your customer will be completely satisfied with our product. We have provided one of our product catalogs which contain info sheets, as well as a few example projects in the back. We would be honored if you took the time to review or visit our website at www.panelbuilt.com. We look forward to hearing from you. No matter what size your company is, you have to constantly be aware of your bottom line. However, one of the most difficult parts of running a business is the expansion phase, or figuring out how to grow in the most efficient and risk-free manner. See how modular offices can address your facility's workspace problems!